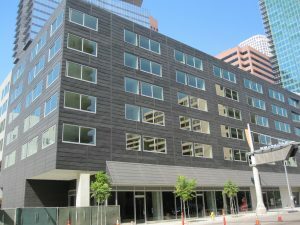 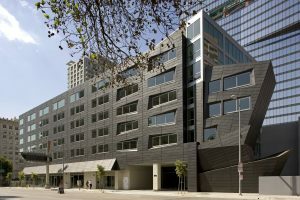 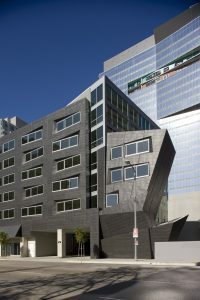 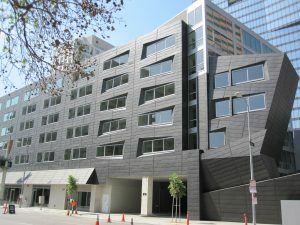 Umicore's black Anthra zinc was chosen to clad this high-end condominium project in Los Angeles. 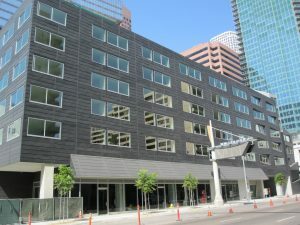 Panels were installed as a rainscreen system using over 30,000 sq ft of .8mm zinc, 40 mil Perm-A-Barrier and concealed fasteners. 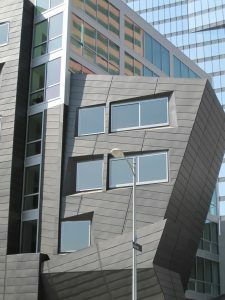 The Action Feature (shown here on the right) was composed of oblique elevations intersecting each other at different angles. 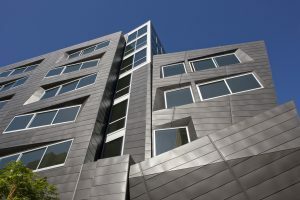 Every zinc panel was different in layout and installation, with none parallel or perpendicular with any corners or windows in the structure. 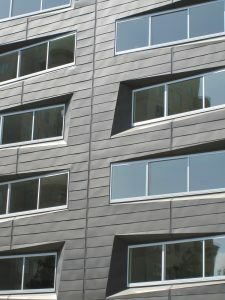 96 angled and recessed windows requiring special tapered window flashings integrated into the window framing.